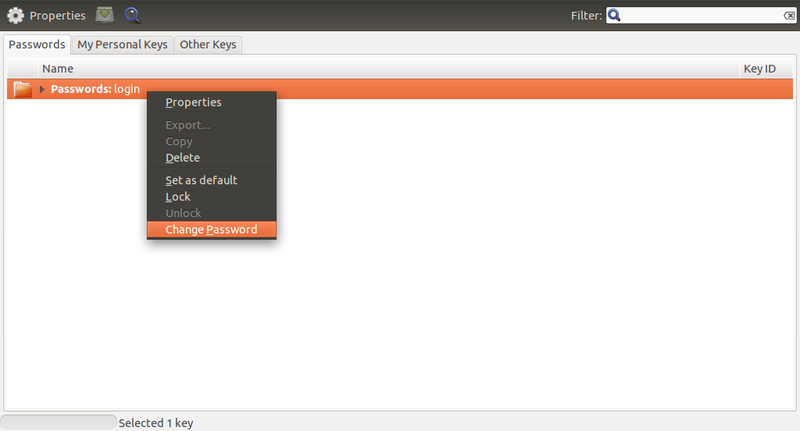 After updated to Ubuntu 11.10, I am always prompted to "Enter password to unlock your login keyring" in power-up. I don't know what happen on my machine! One of the un-recommended solution is using a blank login password. 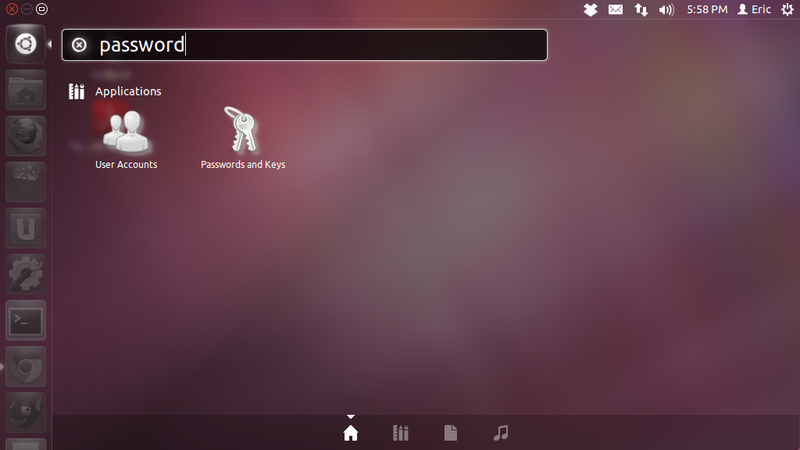 - Start "Passwords and Keys": enter "password" in Ubuntu launcher, the application "Passwords and Keys" will come out. 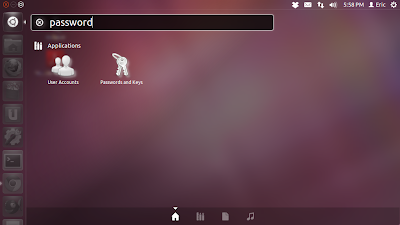 - Right click "Passwords:login", and select "Change Password". - Enter Old Password and leave the new Password and Confirm blank. And click OK.
- Please take attention here!!! By choosing to use blank password, your stored passwords will not be safely encrypted. They will ne accessible any anyone with access to your files. If you accept the risk, click "Use Unsafe Storage" to finish.